London Winter Run - What do I do if my race pack hasn’t arrived? London Winter Run - What do I do if I have an international address? London Winter Run - How do I change my address? 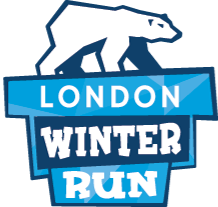 London Winter Run - When will race packs be sent out? If your pack does not arrive before 1st February, there will be a pack pick up in central London at The Radisson Blue Edwardian Hampshire Hotel between 10:00am and 3:00pm the day before the event (Saturday 2 February). You will not be able to collect your pack on the day of the event. In the event that you are unable to collect your race pack the day before the event, someone can collect it on your behalf with a signed note providing permission from the original registrant. The original registrant must still run in the event. This is only a solution for pack collection and not a transfer model. in order to pick up your Event Pack. Cross Underground, Charing Cross Station.